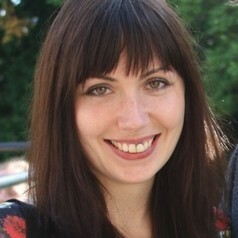 Katie Preece is a Lecturer in Geology at Swansea University. Her research is centred around volcanology, igneous petrology and geochronology. She undertook an undergraduate degree in Geology at Keele University, before moving to France to do a Masters at the Laboratoire Magmas et Volcans, Clemont-Ferrend. She completed her PhD in 2014 at the University of East Anglia (UEA) in volcanology and igneous petrology, which focussed on the driving forces behind transitions in recent eruptive style at Merapi volcano, Indonesia. She then stayed at UEA for a postdoc, reconstructing the eruptive history of Ascension Island using a combination of physical volcanology and Ar-Ar geochronology. In 2016 she moved to SUERC (University of Glasgow), where she combined Ar-Ar dating, geochemistry and detailed fieldwork to build a geochronological framework of volcanic eruptions in Armenia, in order to inform archaeological investigations into early human migration and evolution.